A group of researchers reconstructed a preserved fossil of a Cthulhu sea cucumber to find the connection between modern-day sea cucumbers and the Cthulhu which might have terrorized other small sea creatures millions of years ago. The preserved fossil from Herefordshire, UK, provided scientists with more knowledge about the evolution of sea cucumbers, a group which also produced the sea pig and its relatives. Their findings were published in the journal Proceedings of the Royal Society B. A group of researchers and paleontologists from the UK and U.S. made a 3D computer model of the 430 million-year-old fossil of the Cthulhu sea cucumber and in that way, identified a new species. The scientific name for it is Sollasina Cthulhu because of its monstrous look which resembles the fictional Cthulhu monster created by H.P. Lovecraft. While the fossil measures only 3cm wide, it is equipped with extremely long tentacles which could scare away other smaller sea animals that lived during that time. Researchers believe that the tentacles, also called “tube feet,” were used to catch food as well as crawl on the seafloor. In order to study it, the researchers had to grind the fossil away layer-by-layer, a similar method used with other fossils discovered in Herefordshire. Researchers documented each stage with a photograph which produced hundreds of sliced images and then used them to reconstruct a digital fossil. 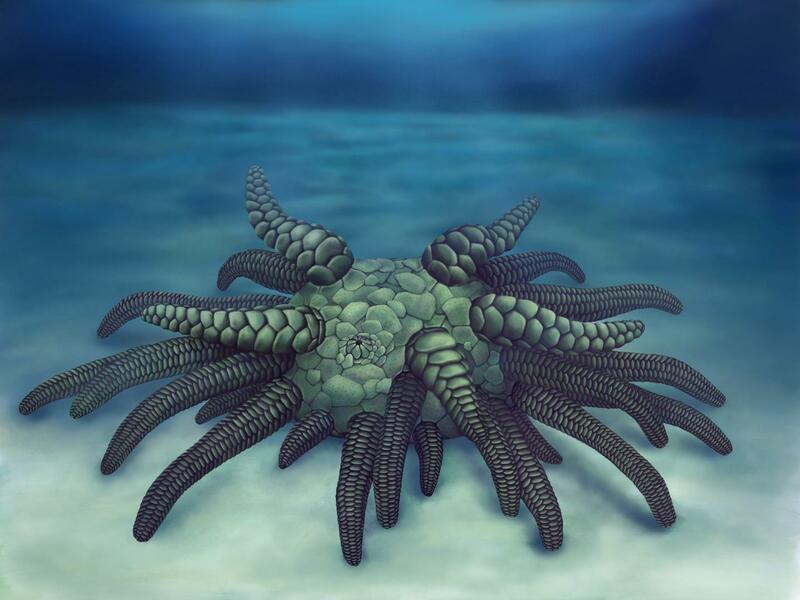 Researchers added the Cthulhu sea cucumber fossil into a computer analysis of the evolutionary relationship between the fossilized sea cucumbers and sea urchins. Results revealed that the ancient Sollasina and its relatives are related more to modern-day sea cucumbers, rather than sea urchins, which contributes to the evolutionary history of this group. The fossil was studied and described by an international team of researchers from the Oxford University Museum of Natural History, University of Southern California, Yale University, University of Leicester and Imperial College in London. The fossilized slices, as well as 3D reconstruction of the ancient sea cucumber are located at the Oxford University Museum of Natural History.